Dr. 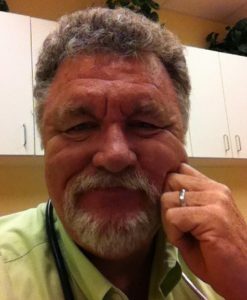 Sheets graduated with honors from the Medical College of Virginia in 1983 and in the same year he entered a residency in Emergency Medicine at Wright State University. In 1985, he served as Chief Resident and on graduation from residency in 1986 he became an Assistant Professor of Emergency Medicine at Wright State University (WSU). During his tenure at WSU, Dr. Sheets published numerous articles and authored several textbook chapters in various fields of Emergency Medicine. In 1990, Dr. Sheets moved to Fredericksburg, Virginia and joined the Emergency Department staff at Mary Washington Hospital (MWH). For the next 16 years, Dr. Sheets worked as an attending physician in the Emergency Department at MWH. During this time, he also served 2 years as Department Chair, another 2 years as President of the Medical Staff, and also served a term as the President of the Fredericksburg Area Medical Society. Dr. Sheets left the Emergency department in 2006 and joined the staff at PrimeCare that same year. He became a partner in 2008 and has served as President and Medical Director of PrimeCare since mid 2013. Dr. Sheets has a special interest in bioidentical hormones, PMS, PMDD and peri and post-menopausal disorders. He enjoys working with patients to get them to the best health possible and constructs a tailored health plan with the cooperation of each patient. He is board-certified in Emergency Medicine by the American Board of Emergency Medicine and is a diplomate of the American Academy of Anti Aging Medicne. Dr. Sheets is currently accepting new patients for bioidentical hormone replacement therapy. For an appointment, please call our office at 540-786-1200.